Living in South East London? 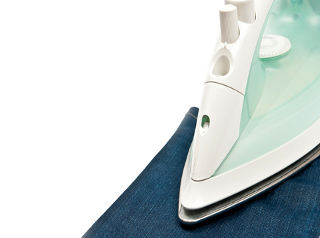 Choose our ironing services and save your time. Call our friendly team on 020 3507 0085 , get a free quote and learn more about our offers. Our purpose is to meet our customers' requirements by making their life more enjoyable and peaceful. The ironing service is quite easy and convenient for you and will not cost you any time and effort. Primarily, this service is a benefit for people who want to save on their time and be able to enjoy their free moments instead of spending hours and hours over the hot iron. Leave this job to our professionals – they will take care of the whole laundry basket for you. • Ironing all types of clothes – underclothes, dresses,skirts, trousers, jeans, shirts, etc. Upon request, this could be a separate service or combined with your home cleaning. The price is just the same as the domestic cleaning and there is no additional charge for the service. So don't worry-our professionals will do the best for you. The price per hour for ironing (as a separate service) is £12.50.